Doctor Elias Clark, & Elias Clark Jr. The Vivell family history in America is taken from family records and cross-referenced to other sources to verify accuracy. 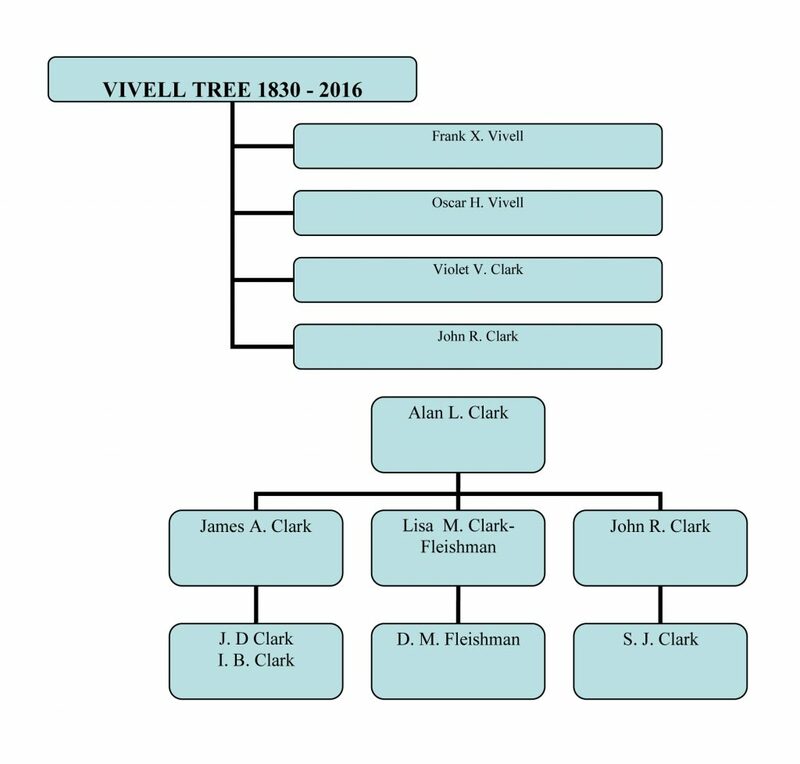 The Vivell Family can be traced back to 1852 with the arrival of Frank Vivell in the United States. The Vivell’s arrived in Greene County, Illinois in 1856. A lot of the information has also been retrieved from public records and family papers. Peter was born in Passy, Savoyen, the son of Jerg Vivell and Aloysia Gee (Gex). 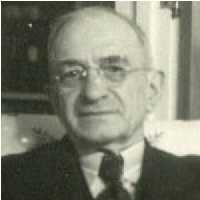 He was the first of the Vivell name in Wolfach. In September 1684, he applied to the city council to be a citizen by right of his marriage to the daughter of citizen Ursula Losinger Armbruster. He married Katharina Armbruster on Jan. 26, 1685. They had 4 children including Johann before her death in 1692. He remarried in 1693 and had 12 additional children. Peter was a shopkeeper and tradesman. Johann was a Chandler (store keeper) and businessman and he married Anna Margaritha Schmeider June 17, 1709. They had thrirteen children including Meinrad in 1718. In October 19-20, 1735 a barn containing 110 zenner of hay burned down, The Haay had been purchased for the cavalry in the war of Polish succession. A lawsuit was brought over ownership after the fire. The lawsuit was finally decieded in favor of Vivell and has business partners. Anna passed away 02/05/1745 and Johann remarried but had no additional children. Meinrad was a Tanner. He married Maria Anna Helm June 20, 1846 and they had ten children. He remarried after Maria’s death to Appolonia Behr on August 01, 1763. They had seven children including Wendelin in 1767. In 1773 he purchased the old Alms House (poor house) in Wolfach for 72 Guldens plus 1/2 ohm of new wine and Cruiser breads. Wendelin Vivell married Maria Eva Mayer and had a son named Franz Xaver Vivell and a son named Meinad. Wendelin remarried after Maria’s death to Veronika Herman December 07, 1807. Franz Xaver Vivell married Maria Conzilia Bonath, daughter of Johannes Bonath and Maria Anna Herter. They were wed May 04, 1829. He was a baker by trade. They had at least five children. Maria was born about 1806 and died October 11, 1876. In 1833 Franz who was known as Xaver operated a bakery and brewery in Overwolfach. Frank Xavier Vivell February 06, 1830, Ferdinand October 18, 1831, Zazilia Vivell Sept. 5, 1838, Maria Anna Vivell June 22, 1840 and Viktoria Vivell February 28, 1845. All were born in Schrannen and baptized the same day in Oberwolfach, Wolfach, Baden. Maria Anna and Zazilia immigrated to the United States about 1860. Ferdinand also immigrated to the United States and for a time lived with Frank X. Vivell in Carrollton, Illinois. Frank X. Vivell Frank Xavier Vivell arrived in the United States in 1852 from Baden, Germany. He would have been about twenty two years of age when making the trip across the Atlantic Ocean aboard a sailing ship. Prior to coming to the United States he had already learned the trade of a baker. After short stays in New York City, Philadelphia and Canalton, Indiana he settled in St. Louis, Missouri. 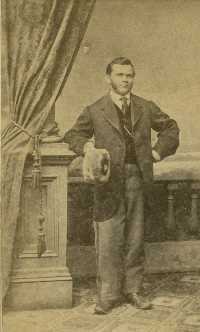 While in St. Louis he worked as a cook and bootblack at the American Hotel. Later he worked in Jacksonville, Illinois as a pastry cook.He arrived in Carrollton, Illinois in May of 1856 and started a business as a baker, confectioner and dealer in fancy groceries. He married Libertha Schubert July 13, 1857 and they had five children. They were: Frank Jr., Bertha, Edgar, Walter and Oscar. Other than the above, little is known about Libertha. Records in the Greene County Courthouse show that Frank Vivell became a naturalized citizen on February 1, 1855. The book titled History Of Greene County relates that Frank owned a magnificent property in Carrollton, which was the finest residence in Greene County. This was written in 1879 and by reading the article it is clear Mr. Vivell was still alive at the time it was written. He would have only been 49 or 50 years old at the time of printing. See the Vivell photo album for copies. August 31 1881, John B. Schwary of St. Louis purchased the Vivell restaurant as reported in the August 31, 1911 Carrollton Patroit in the 30 years ago section. CLICK HERE to see a report from the St Louis Medical and Surgical Journal concerning Frank Vivell’s condition. Frank and Libertha are buried in the Carrollton, Illinois city cemetery. Oscar H. Vivell was born on May 11, 1869 in Carrollton, Illinois. He attended public schools in Carrollton and thereafter went into business with his brothers for a short time, having a stable of race horses. The Vivells raced these horses all over the United States. Belle Davis of Carrollton was the daughter of Dr. James M. Davis. Anna Belle, who was known as Belle, lived in only two houses during her entire life: her father’s house located at 204 North Fourth Street, Carrollton and a home built in 1893 by her husband, Oscar. The new house was located in the country at that time but now has an address of 632 School Street. Before marrying, Oscar was working in the insurance department of the Carrollton Bank. In 1891 he started his own insurance agency which later bore the name: O. H. Vivell Company. He would operate that business until his death and then his daughter, Violet, and son-in-law, Victor O. Clark, would operate it. In January 1995 the orginal agents contract between The United States Fidelity and Guaranty Company and O. H. Vivell was given to the Clark family by the owners of the O. H. Vivell Company. The contract is signed by Oscar H. vivell on April 13, 1905. Oscar went into local politics in 1917, being elected to the city council in the first ward in Carrollton. In 1919 he was elected Mayor of the city, his first of three terms. The Carrollton Gazette dated April 23, 1919 carried a picture of the new mayor with the following listed below the photograph. CLICK HERE to see some of Vivell’s official proclamations. Below this article in pencil the word “Statesman” is written. John R. Clark, grandson of Oscar, stated the handwriting is Vivell’s. The above article appeared on the bottom left side of the front page. In the same paper, bottom right side is the picture of Dr. F. N. McLaren, who is a distinguished-looking gentleman. However, Dr.Mc Laren is bald. Again written in pencil in Oscar’s handwriting is the notation “I’ll go against this bird any time in a beauty show.” This is just one example of Mr. Vivell’s sense of humor. CLICK HERE to see documents from Vivell’s political campaigns and election results from 1918 – 1925. In 1923 and 1925 Oscar was again elected to terms as Mayor of the city of Carrollton. One Vivell proclamation is of particular interest. It requests places of business be closed Friday January 18, 1924 so citizens could travel to the Democratic Convention and support Judge Norman L. Jones for Governor of Illinois. Even though Jones and Vivell were neighbors, Vivell was a staunch Republican and might have swallowed hard before signing and issuing the proclamation. He also served on the board of directors for the Greene County National Bank and served as a Vice President at the bank. Oscar was also in the real estate business, buying a good number of properties in the city. During his younger days he was fond of bicycling, lawn tennis, trapshooting and hunting. He at one point had a tennis court constructed in his back yard. Vivell was an avid record keeper and evidence of this can be found in his gun case that is now in the possession of his, great-grandson, Alan L. Clark. On the inside portions of the drawers of the gun case are hunting records from several hunting seasons, listing the number of and type of game taken during the year. Oscar and Belle were also avid travelers, going all over the lower 48 states, Canada, Mexico, Cuba, Central America and Alaska. The Vivells took two 30-day vacations a year. The article to the right was published in 1979 reprinting a story which ran August 29, 1929 in the Carrollton Patroit newspaper. Oscar and Belle lived a comfortable life and at one point even gave their daughter, Violet, and her husband, Victor, a house across the street from them for Christmas. Oscar served as the Clerk of the Board of Education for many years, according to his obituary in the Carrollton Patriot. During the last eight or ten years of Belle’s life, she had about eight strokes. These strokes occurred about one a year. This may be what one newspaper article refers to as to him worrying about his wife’s illness. Violet was the only child of Oscar and Belle Vivell. She was born in Carrollton, Illinois. For more information see the Victor Clark section of the Clark Family on this web site.